Lisa Emling, RICP™, PPC®, CPFA®, AIF®, is the Managing Partner at First Southern Wealth Management. She has served in the financial industry since 1992, and worked with MetLife Securities and Edward Jones, prior to partnering with First Southern Bank to build their Wealth Management firm. 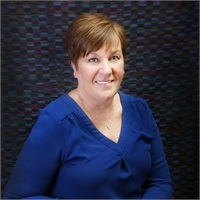 Aside from her Accredited Investment Fiduciary® (AIF®), and Retirement Income Certified Professional™ (RICP™) certifications, she has also obtained the Professional Plan Consultant® (PPC®) and Certified Plan Fiduciary Advisor® (CPFA®) designations focused solely on helping business owners manage their qualified retirement plans. Lisa holds her Series 7, Series 6, Series 63, Series 65 and Series 24 securities registrations held through LPL Financial. In addition to the overall management of the firm, she is responsible for working with clients to develop and implement their plans, and feels that watching her clients succeed is the most rewarding part of her work. Lisa resides with her husband and their dogs in rural Du Quoin. She loves spending time outdoors working on and enjoying their property, and also enjoys photography, home improvement projects and crafting. She has two grown children and two grandchildren who are her pride and joy.